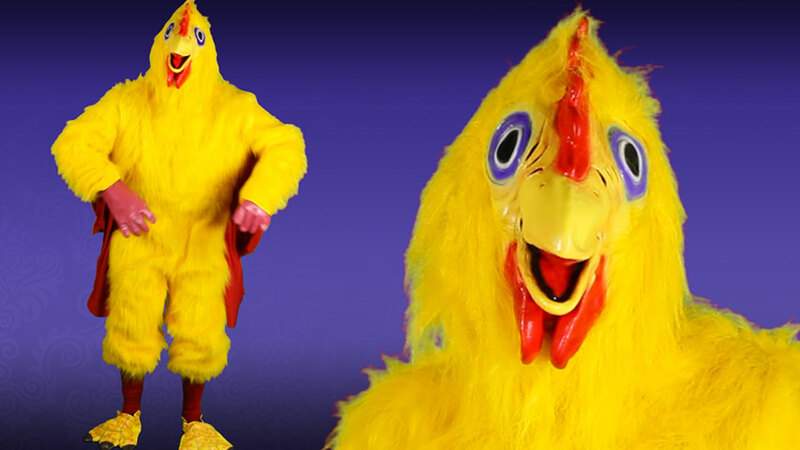 Lead everyone in the chicken dance with this adult mascot costume! Perfect for Halloween, sporting events and more, this costume includes a yellow, acrylic jumpsuit that ties at the back of the neck as well as velcros for closure. It is covered in faux fur with red wings attached to the torso and sleeves while elastic lines the ankle cuffs for a secure fit. A latex mask with a friendly chicken face also features yellow, faux fur and slits for clear vision and breathing. Red latex gloves, red stockings and detailed chicken feet, which are held in place with elastic, complete this costume. 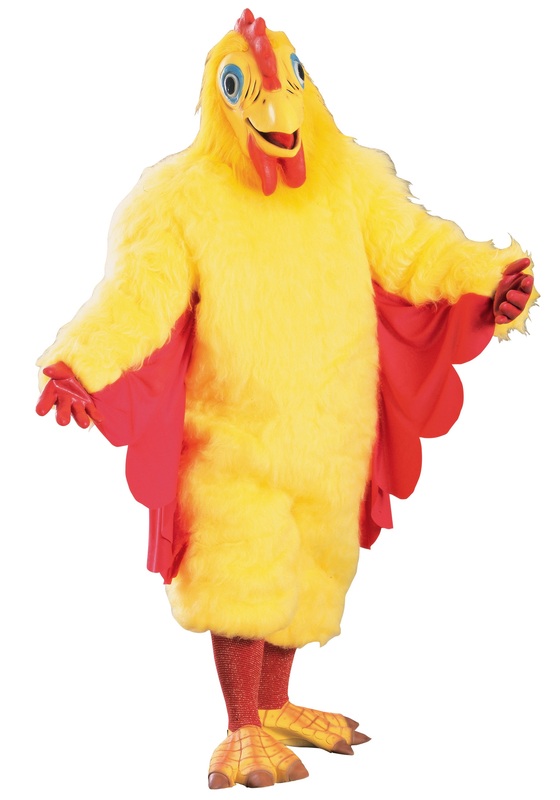 Get everyone clucking in this fun chicken costume!